ILX Group is pleased to provide classroom training courses and a centre for exams in central Dubai, United Arab Emirates. Our courses are hosted at Pullman Jumeirah Lakes Towers Hotel & Residence. The Pullman is located just behind the Damac metro station, 32 km southwest of the Dubai International Airport. This 5-star venue boasts valet parking and free WiFi. The course will be taught by a UK trainer with 15+ years of experience. You will stay on a discounted hotel rate and receive complementary snacks, refreshments and lunch. 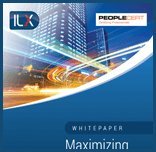 At the end, you will receive a 10% loyalty discount on any other ILX course, including PRINCE2®, Software Testing and MoP®.